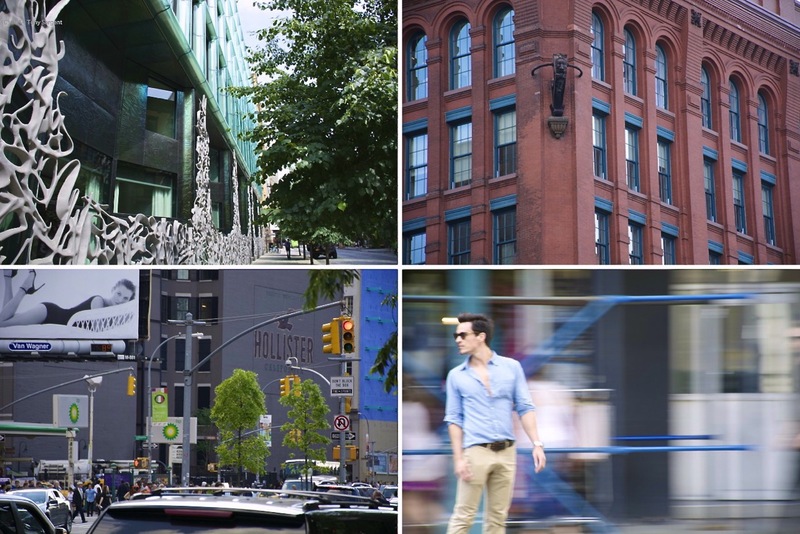 Over the last 20 years Noho, (generally the area between Houston and 8th Street, Broadway and Third Avenue) has evolved into one of the most exclusive residential and bohemian-chic areas of Manhattan. Already architecturally rich with cast-iron lofts, the recent uber-luxury residential development along Bond Street has cemented its reputation as a starchitect residential destination for the world’s affluent and creatively inspired, drawn by: 40 Bond designed by Herzog & De Meuron, 48 Bond by Deborah Berke, 41 Bond by DDG and 25 Bond by BKSK. Visually the mix of old Renaissance-style lofts and new luxury condominiums is quite stunning. Receiving its Historic designation which started in 1999 has helped solidify the feeling of a cohesive neighborhood and local recognition as one that truly exists. For many old-time New Yorker’s Noho was not a neighborhood. In the Landmarks application for its Historic District Designation it was noted that as Noho developed in the 1890’s Bond Street viewed as more desirable because its extra width provided furriers and merchants with greater light and exposures. Starting in the 1950’s the area saw the beginnings of residential conversions which picked up steam in the 1970’s and 1980’s when many famed artists including Robert Mapplethorpe and Jean Michel Basquiat called the area home. Today, Bond Street and the surrounding area’s properties command premium prices. A terraced 8th floor unit at 40 Bond recently sold for $23.5 million ($4,381/SF); Penthouse 18 at 445 Lafayette (designed by Gwathmey Segal) sold last November for 14.25M and a 3-bedroom luxury home at 25 Bond sold for $9.0 miillion ($2,502/Sf). Currently I have listed a beautiful Penthouse at 30 Bond, a 1890’s era Rennaissance-style cast iron loft which features 3-bedrooms and a separate lounge and enormous terrace framed with Empire State Building views and a classic water-tower. At $5.5 million it provides great entree into this most desirable of blocks and neighborhoods.